Release Date July 2nd! Place your orders now! 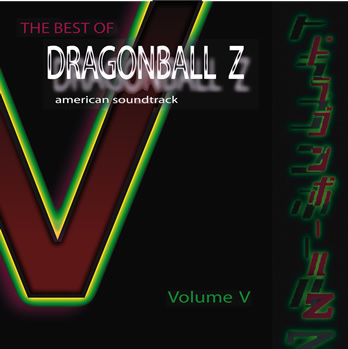 The request line is open and we are filling your DBZ playlist right here! Great news! The Ginyu Force has arrived to scope out the incredible power of this DBZ Volume. Your favorite characters and missed scenes are mastered here for maximum energy. This is your Spirit Bomb — its the power of all your emails, telephone calls, and letters asking me to release these DBZ tunes. Hey! Am I as bad as Goku in getting this thing released at last or what! So I'm finally launching this CD and hope its a blast for you! DragonBall Z rocks and you rule! Your power levels have made DragonBall Z rise to its place in TV history, being one of the very few shows dominating the competition to reach the pinnacle of being a number one show on Cartoon Network as well as all Cable TV Networks. KAMEHAMEHA!!! ... and thanks again. 33 TURNED TO STONE II.